In 2007, the cooperation between LAAS-CNRS and AET Technologies enabled the commercialization of AlOx, an oxidation furnace for the industrial manufacture of vertical cavity lasers (VCSEL). This type of semiconductor laser is widely used in optical links in datacenters (or data centers), in optical mouse computers, or more recently for 3D recognition of new generations of smartphones. 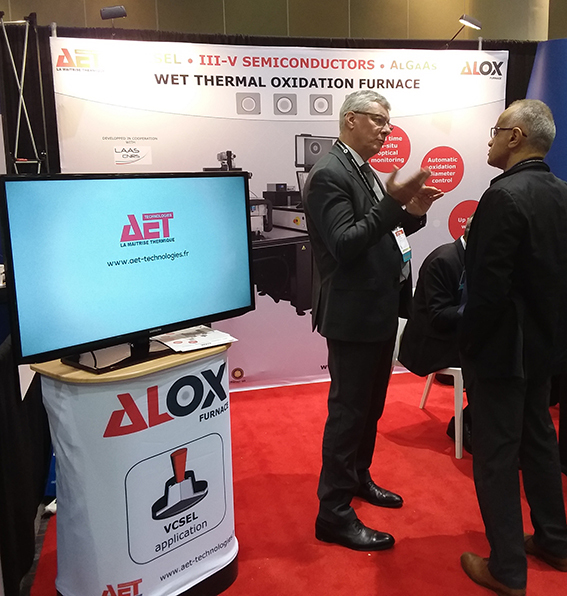 AET Technologie presented the latest version of AlOX, based on a technology and control software developed at LAAS-CNRS, at the international SPIE Photonics West fair in San Francisco. This latest version of the equipment allows a large-scale production of VCSEL lasers while guaranteeing fine production control.